The MSE Equity Price Index eased by 0.04% to just under 4,490 points as the declines in BOV, IHI, RS2 and Plaza marginally outweighed the strong uplift in Farsons. Meanwhile, six other shares closed the day unchanged while aggregate trading volumes surged to €1.41 million on the back of very high activity in MIA. Malta International Airport plc traded flat at the €6.40 level on robust volumes totalling 158,400 shares having a market value of €1.01 million. MIA will be publishing its annual financial statements on February 20. Also among the large companies, GO plc retained the €4.36 level (the highest since August 2006) on low volumes of 3,300 shares. 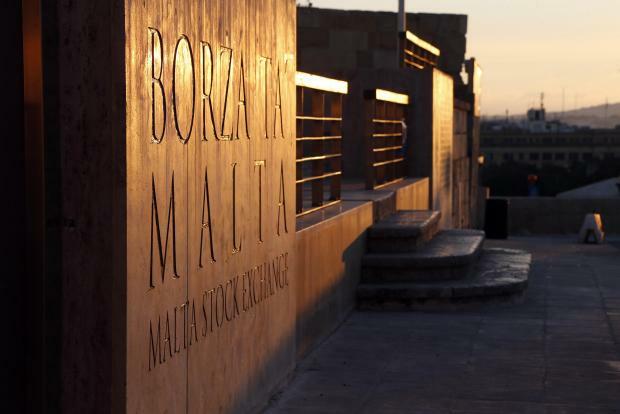 On Friday, the Malta Stock Exchange issued an announcement confirming the admission to listing of the entire issued share capital of BMIT Technologies plc on the Official List. Trading in the shares is expected to commence next Monday, February 18. Three deals totalling 33,718 shares left the equity of PG plc at the €1.37 level. In the property segment, MIDI plc, Malita Investments plc and Trident Estates plc all closed the day unchanged. MIDI opened at €0.645 but recovered to €0.65 on a total of 70,360 shares. On the other hand, Malita opened slightly higher at €0.905 but reverted to the €0.90 level across 39,190 shares. Trident maintained the €1.35 level on a single deal of 20,000 shares. In contrast, Plaza Centres plc was the worst performing equity with a drop of 2% back to the €1.00 level albeit on just 8,500 shares. Bank of Valletta plc traded at a yet another multi-year low of €1.24 before partially recovering to the €1.26 level, representing a drop of 0.8% from Thursday's closing price of €1.27. A total of 107,029 shares changed hands. International Hotel Investments plc also lost 0.8% from its six-month high of €0.65 to the €0.645 level across two deals totalling 14,760 shares. Similarly, RS2 Software plc eased by 1.4% from its ten-month high of €1.48 back to the €1.46 level on a total of 34,171 shares. Simonds Farsons Cisk plc surged 4.4% to regain the €8.35 level on 3,000 shares. Following the gains registered in the previous two days, the RF MGS Index retracted by 0.04% to just over 1,104 points as changes in Malta Government Stock prices reflected movements in the yields of peripheral countries which, in turn, climbed reflecting heightened political uncertainties in Spain. Socialist Prime Minister Pedro Sánchez had to call snap elections (the third poll since 2015) following resistance from the minority government’s coalition partners to the passage of the budget bill over disagreements on the dominion of Catalonia. Political analysts are now expecting that Spain’s next government could include the far-right ‘Vox’ party as part of a new centre-right administration.